Sources: (19) Many photographers, some SP employees. 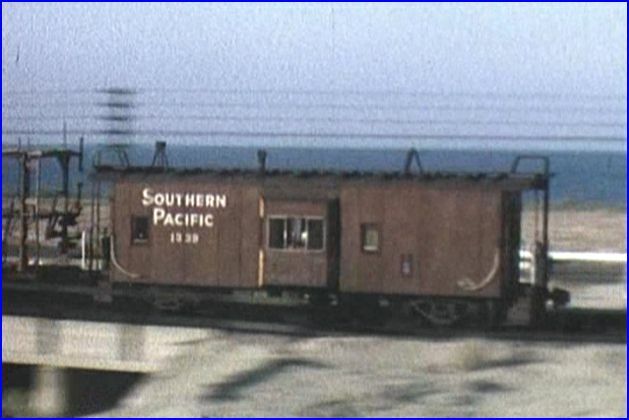 Charles Smiley has a great show of vintage Southern Pacific. All of his programs that I have seen, are very high quality. Digitally enhanced film sources make the best viewing possible from the original films. Both 8mm and 16mm formats. This program has a menu with 7 major chapters. 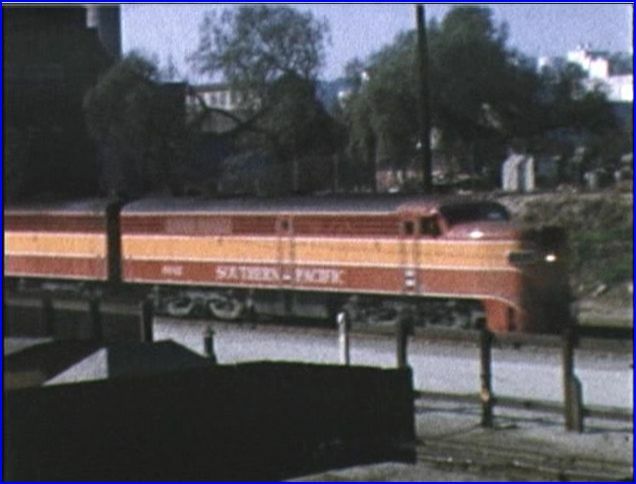 General features include locomotive classes: Alco PA, EMD E8, EMD F7, EMD GP9, EMD SD7. 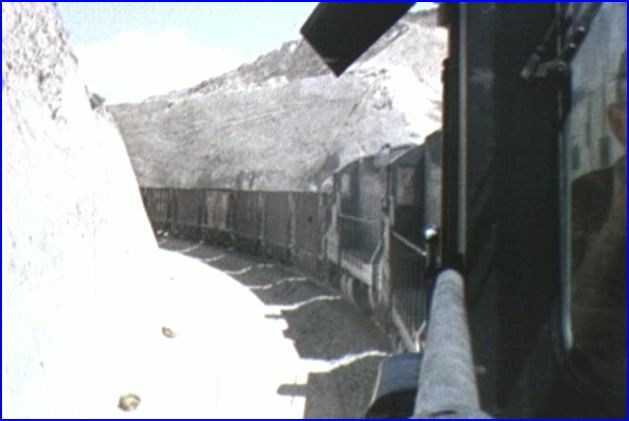 Major locations and branchline operations are thoroughly discussed in the narrative. All classic era footage! 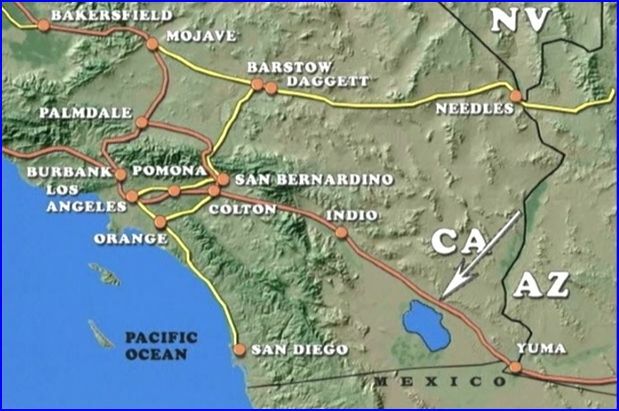 There are many other ‘feature segments’ that expand on SP operations: Taylor Yard, Colton Yard, Northwestern Pacific, Salton Sea, Cajon Pass, Palmdale Cut-off, FCP Alcos in Mexico and much more. 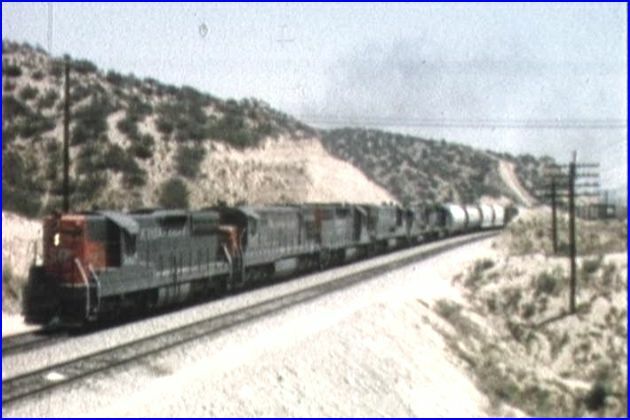 Be sure and check the old Tehachapi Loop segment. Indeed! Charles is a very dynamic producer. Opening theme music that was custom-made for this show sounds like a genuine movie theater theme. This show plays much like a PBS broadcast. Professional in every aspect, this is a top notch production. CSP shows have multiple bonus features that make these DVD’s attractive purchases. A consistently fine enhancement are the custom-made maps. These are very time-consuming to produce. A good sense of an area’s geography adds to the enjoyment. Extended program times are another CSP benefit. Charles also has access to industry professionals and shares quite a bit of ‘behind the scenes’ thoughts and process. Surprising are 1955 trolley and bay area city views. Also seen are WW2 ships and planes. The steam era SP gets attention in a solid feature which includes the war years. 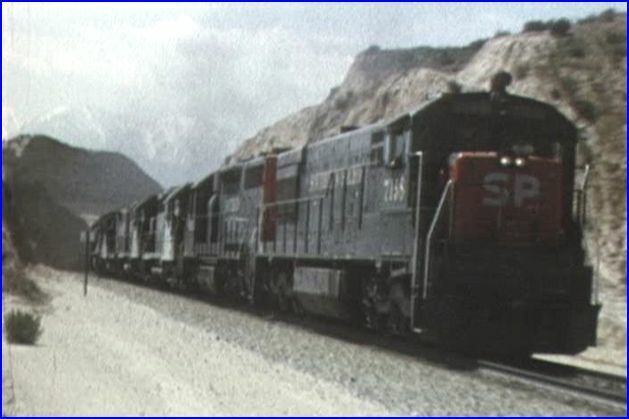 Also, 1942 Coast Daylight and cab forwards on freight, in color! 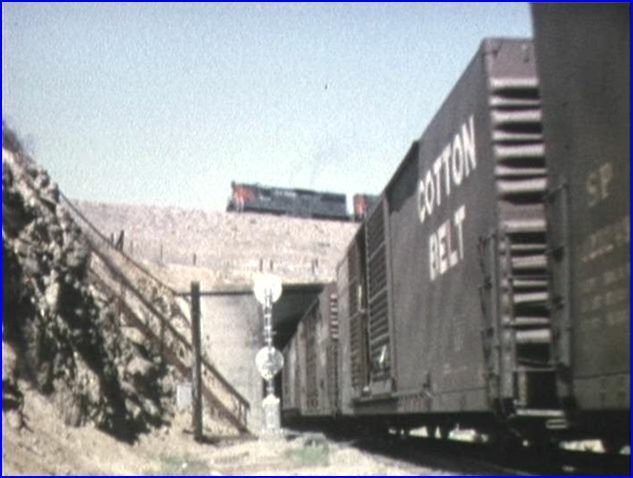 Unusual to see railroad employees on film and some of the jobs that the employees performed, in the steam era. 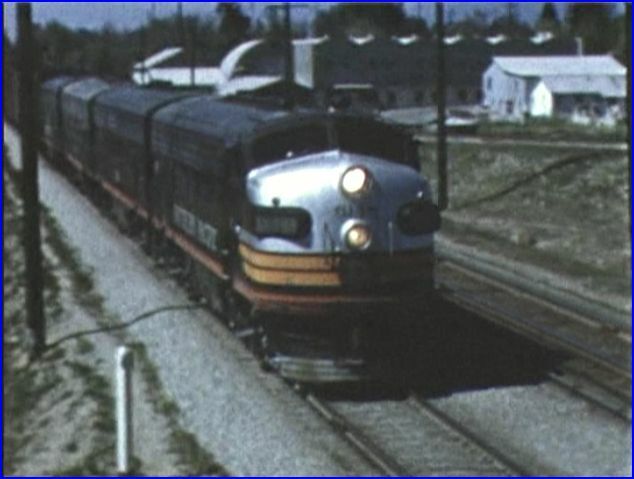 Steam in service and proceeds with 1st generation diesels, and up until mid 1970’s. Quality varies by sources. Very good to excellent. All the shots are worth viewing. Uncommon locations abound. 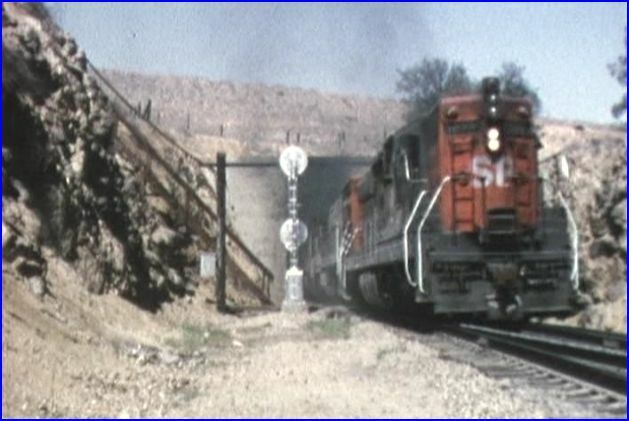 The famous locations such as: Tehachapi Loop, LAUPT, Colton Crossing.. have many fascinating early diesels on freight and streamliners. 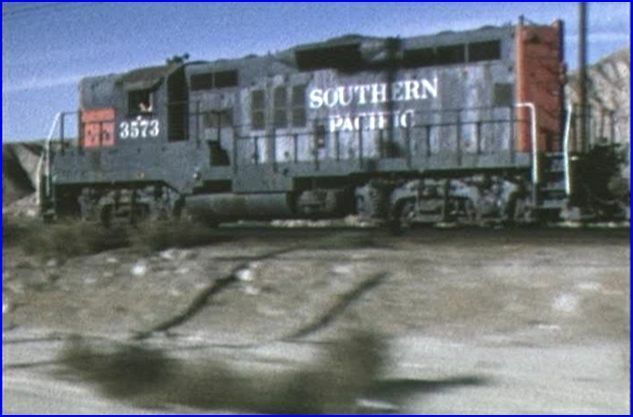 There are scenes of other railroad locomotives such as : Santa Fe, Western Pacific, Union Pacific, Canadian National, McCloud River, Kaiser Steel, FCP . 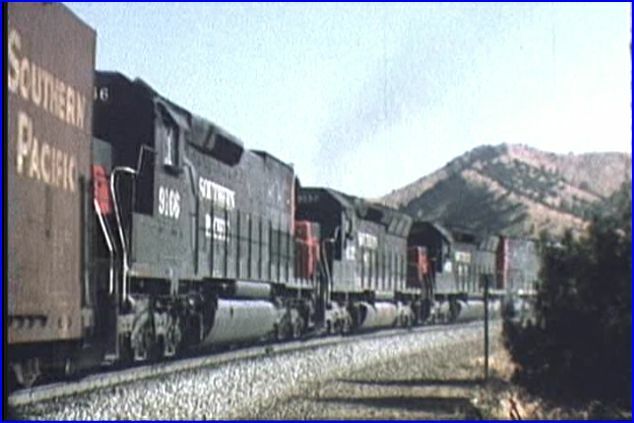 Some locomotives shown: Alco PA, Fairbanks Morse Trainmaster, EMD F7, EMD GP9, SD9, Santa Fe Warbonnet F7 led Chief, GE U-boats, demos, steam engines and more.. Black Widow, Daylight, Gray and Scarlet paint schemes are all here. Audio is a mixture of natural sounds and music. The sound is clear and volumes are nicely balanced. Narration is very consistent, on wide-ranging subject material. Charles gives us insider information on SP operations. Plenty of historical background commentary will make any viewer an informed viewer. This engaging show has much rare footage. There are many different, visual viewpoints, from all the photographers. You can’t beat the assorted scenes throughout the show. Much effort has been spent on the unique production of this show. 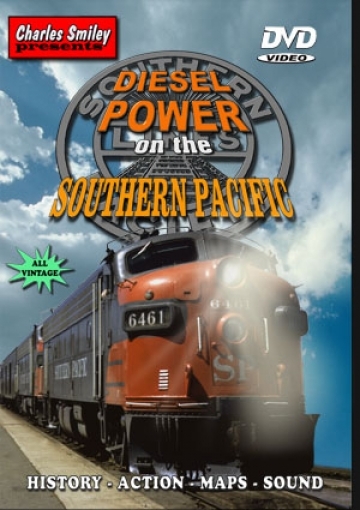 Diesel Power on the Southern Pacific, is extremely well presented. 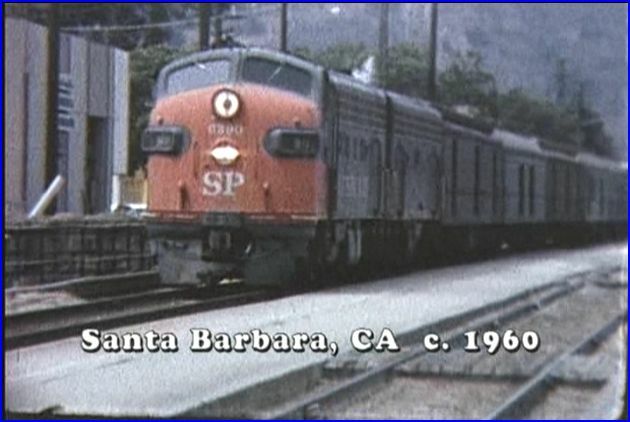 Any railfan would find this a great addition to their film collection. 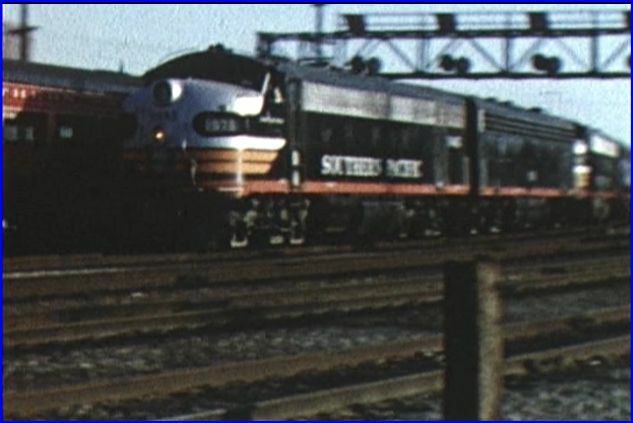 Model Railroaders can obtain a fantastic reference tool with this detailed show. Suitable for all ages. It’s become a favorite of mine and probably become a favorite of yours too! 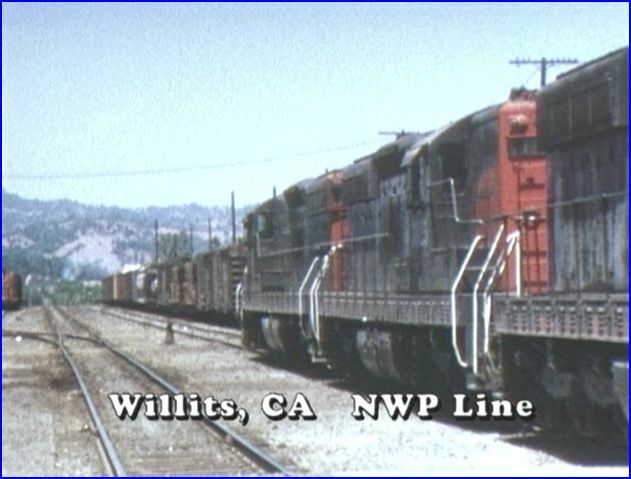 This entry was posted in ATVR Reviews, Charles Smiley Presents, Steam Train Reviews and tagged American Train Video Reviews, Railroad, Southern Pacific, steam train, tehachapi loop, Train DVD, trolley by William J. Hudson. Bookmark the permalink. You have an interesting commentary. This review is 2 years old. If you view newer material, there is some expansion on the discussion aspect. I have revised dozens since that time, and this one could use updating. The video review is the mission of ATVR. The point is to let the audience see the appearance of a program. At times, I add minor extra information, that is not included in a show. Those comments are kept to a bare minimum. They are not part of the film. Yes, There could be much more added by me. That is not the goal. The ‘About ATVR’ page discusses the review criteria, and why I run this site.